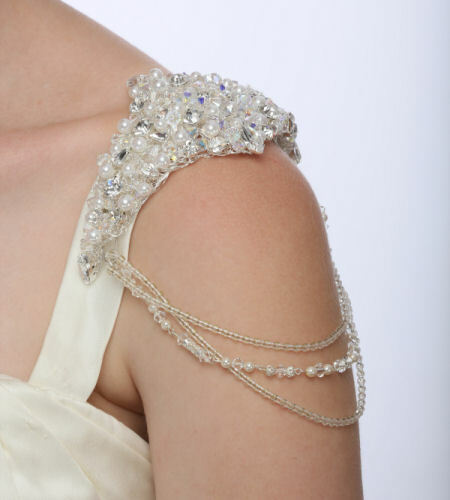 Customise your gown and make it a real designer one off piece with one of our stunning handcrafted shoulder adornments. Beautifully designed to create a stunning focal point and laden with individuality. Various designs available. Contact for more details.